Registered Nurse Certification in Washington prepares nurses to promote the health, resulting in the prevention of severe diseases. Thus, they help in every possible way for a faster recovery the patients. The Washington State Board of Nursing issues the certification in the state. Its primary focus is to protect and improve the health conditions of the residents. Provide a non-refundable fee of $88 in the form of check or money order. Passed the United States national licensure exam, NCLEX-RN. Submit a list of your current or nurse programs you have previously completed indicating the degree or certificate or diploma pursued and your graduation or anticipated graduation date. Submit list of all the states or countries where you have had your license previously. You must indicate the method of licensure whether examination or endorsement. Attest affidavit of AIDS Education and Program. The program may include formal program, courses, or self-study. If you have completed your education after 1991, or if you meet all the requirements listed on the application, you may date and initialize this section and do not opt for any further program. If you have an out of state address (i.e. not out of country), you are required to submit fingerprints for the criminal history background check. You may procure your fingerprints on the Department of Health fingerprint card. After the Board receives your application, it will send a fingerprint packet with instructions to complete the fingerprint process. Provide official transcripts. Ask your nursing school to submit the official transcripts (including the degree earned) to the Nursing Commission. Submit Certificate of Completion: If you have completed your graduation from nursing education program in the state of Washington, you need to request the director of the nursing program to send an electronic certificate indicating the program completion to the Washington State Board of Nursing office. You will be made eligible to take the NCLEX-RN after the certificate is received.If you have completed your graduation from nursing education program in another U.S. State or jurisdiction, you must submit the paper certification of program completion (that is enclosed in the application packet) to your program director and request them to send it to the Board office. Refer points I-IX mentioned above (Requirements of RN License by Examination for U.S. graduates). Educational requirements: After completion of your nursing education program, request your nursing school to sign, date, and complete the application and send it to the Board office. Provide verification of your licensure gained by examination. You may use the Nursys website: www.nursys.com to verify your license. An additional fee will be charged if you use this service. If your state of licensure is not mentioned on this website, you may send the verification form attached in the endorsement application. Send this form to your Board of Nursing and request them to complete and send the form back to the Washington Board office. If you are not able to verify your license in any of these ways, you need to send transcripts from your nursing school or from another state board of nursing to the Board office. Submit evidence of your current or active RN License. Carefully go through the instructions mentioned in the application. After the Board makes you eligible to take the test, an Authorization to Test (ATT) will be emailed to you by the Pearson VUE. Upon receiving the ATT, you may schedule your test as quick as possible. 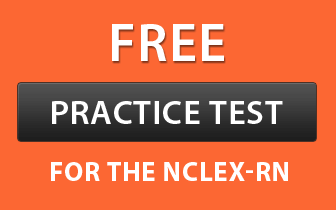 You must read the NCLEX Candidate Bulletin if you face any problem regarding the exam. After 24 hours following your exam, the results will be received by the Board. Upon approval of all the required documents, you will receive a paper license via mail in 7-10 working days after the Board issues it. Scrutinize the information mentioned in the application. After completing the essential details of the application, submit the application and the required endorsement documents to the Board office address (Refer step no. of procedure to obtain RN license by examination). All out of state aspirants may be issued a temporary permit from the Nursing Care Quality Assurance Commission. It will be issued only when the applicant meets the nursing licensing requirements and after the completion of the federal background check. A temporary practice permit of 6 months is issued which allows the applicant to continue their practice in the Washington state. “Pending” will be shown on the Provider Credential Search (Application Status) till the ILRS licensing system is reprogrammed. Upon completion, the temporary license will be identified. 45 contact hours of continuing education requirements. Register on this website to create a username and password. If you already have an account, enter your username and password. Enter the code 7472 in the Service Code box provided on the top right side and then select “Apply”. Upon applying, you will be directed automatically to the Online Services site. Read the instructions mentioned on the following welcome page. Select ‘Click here to get your User ID and Password’ on the Login page. If you do not have an account with the Washington State Department of Health, ‘Register’ yourself. Your renewal user ID is mentioned on your renewal notice. Complete all the information required in registration. Upon completion, an email will be to sent you. Verify your email. A notice will be received verifying your email including your Department of Health User ID. Provide this, along with your SSN (Social Security Number) with no dashes or spaces, in your login. Select ‘Log In’ using your Department of Health User ID and password. You will be directed to a renewal and application page. Click ‘Start’, and complete the renewal information. Pay the renewal fee and an additional fee of $2 as a convenience fee via electronic check, VISA or MasterCard. Wait for completion of your renewal process. At the end, an approved payment receipt will be received. You do not need to submit any application. Pay the renewal fee (Refer the fees section of this article). No application needs to be submitted. Pay the renewal fee (Refer the fees section of this article) to change your license status to active until your next birthday. Submit continuing competency form indicating the completion of 177 practice hours and 15 contact hours of continuing education within the 1st year of reactivation. You can download the form using the above link. Provide appropriate fee (Refer the fees section of this article). Submit proof of active and current license in another state. This requirement is same as the one mentioned above (For more than 90 days but less than 3 years). Submit completed application for activation. Pay the requisite fee (Refer the fees section of this article). Complete a refresher course approved by the Washington Board. If you require a refresher course, check the box in the activation application next to limited education authorization. Upon reviewing your application, the Board will send the limited education authorization approving you to complete the clinical portion of the program. All the continuing competency requirements are met if you complete a refresher course. A valid license will be issued when you successfully complete the refresher course and the completion letter from the Director is received by the Nursing Care Quality Assurance Commission. For less than 90 days:All the requirements are similar to that of inactive status (for less than 90 days). But, in addition to renewal fees, you also need to pay late fee. For more than 90 days but less than 1 year:All the requirements are similar as mentioned in the inactive status (for more than 90 days but less than 3 years). But, in addition to renewal fees, you are required to pay late fee. For more than 1 year but less than 3 years:All the requirements are similar to that of inactive status (for more than 90 days but less than 3 years). For more than 3 years and have an active license in another state:The requirements are same as the above inactive status requirements for more than 3 years and have an active license in another state. For more than 3 years and have an inactive/current license in another state:These requirements are same as the above inactive status requirements for more than 3 years and have an inactive/current license in another state. Note: Read the checklist mentioned in the form. After opening the above link, select “Health Care Provider”.